Today I am going to do something that is a little out of my element and comfort zone. I am going to talk to you guys a little bit about the business I am working on creating. 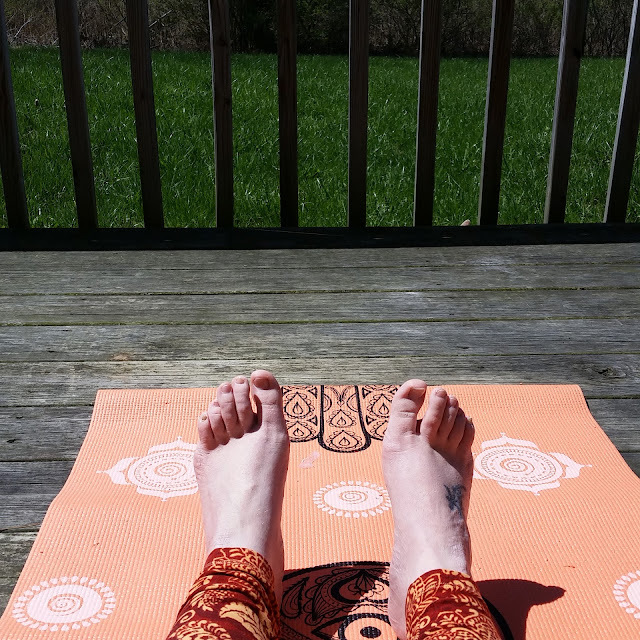 If you have been reading this blog at all this year, you know I am working on becoming a yoga teacher. The learning how to become the teacher is the easy part, to actually be the teacher is a whole other ballgame. Over the past several weeks as I have closed in on the end of my studies, I have really put into perspective what sort of knowledge that has been given to me, and what I should do with it. I have shared little snippets of ideas that I've had to utilize my knowledge. Now I want to let you all in on the second part of what I want to do. I want to teach yoga to women with body image issues. I want a safe space where I can teach either one on one or in a class where every person in the room feels comfortable in their bodies. I have also decided I want to offer aromatherapy and essential oil blends to aid in yoga and everyday wellness. Also, something fun and quick. I've started a FB group for women only. There will be topics on yoga, essential oils, wellness, and happiness. I also have a thread to share your business with the group. There will be more options to share and empower eachother as the group builds! I would love for you to join us! I have worked with essential oils for a few years now on my own terms. 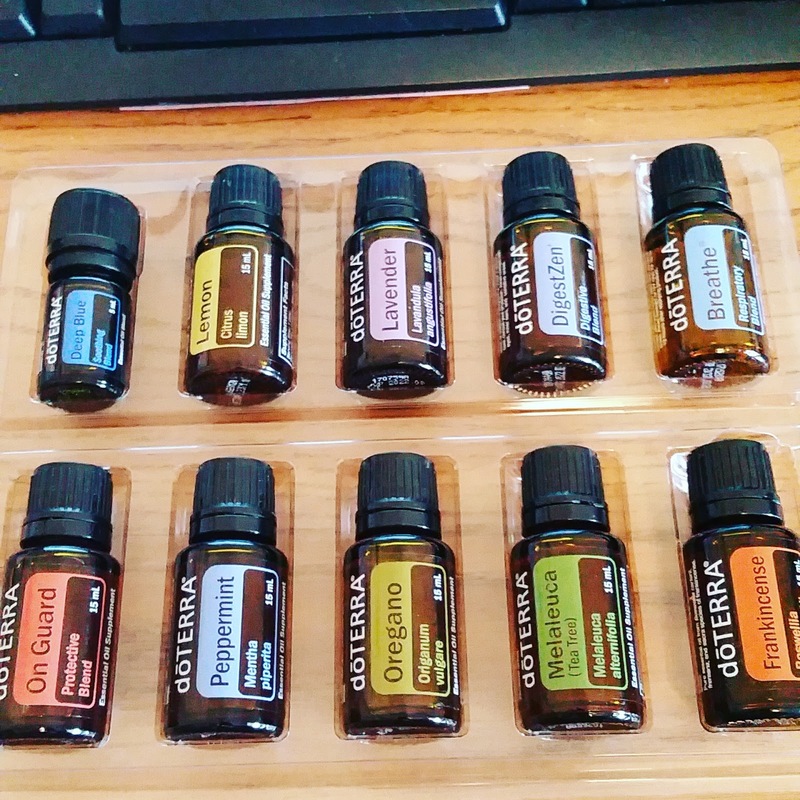 I've learned how to make blends and which oils can help promote wellness for me. I use them now in my everyday life and realized as I go into this next phase of my life, that I also want to share my love for essential oils with anyone who wants to listen. I have mentioned a few times how much I have suffered with acid reflux. I recently started using a blend to help with that. I have to report that after a week of trying this out, my reflux has greatly improved. It absolutely amazes me. I hate taking pills, and I've always used oils as aromatherapy, but I am diving more and more into ingesting them as well as massage practices. So far so good. I will tell you I am a wellness advocate for doTERRA. I decided to do this when I started to use oils more and more in my life. It just made sense to me. I could buy my own oils at wholesale and not have to worry about hunting someone down to place an order. It's a pretty sweet deal. I am not one to really promote this out there, but I did want to pass along a May promo for anyone who was interested in a wholesale acount. . Anyone who signs up with a wholesale account (no commitment) and orders 100 pv starts off with 50 points towards free product. (1 point = $1 on all essential oils, so you are basically starting off with $50 free!) If you have interest, send me an email and I can give you more deets. No pressure, just sharing the wealth! So what do you think? Can yoga and essential oils work together? Would you enjoy a yoga session with aromatherapy? Share your thoughts in the comments! I would love to hear your opinions and experiences! Weekends are for no sleep and fun!